Our Mission: IronPigs Charities supports educational and recreational opportunities for Lehigh Valley youth, focusing on diversity and inclusion. 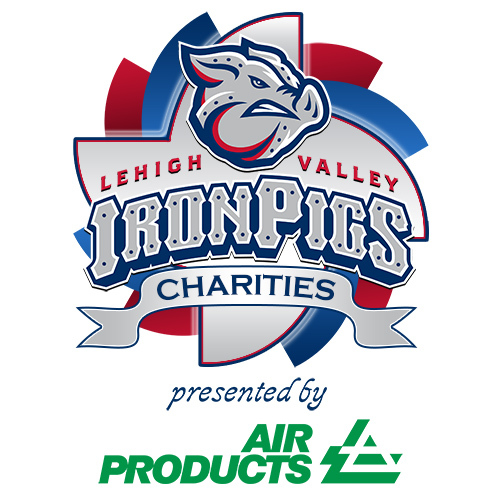 About us: Established in October 2007, before the IronPigs ever played a game, IronPigs Charities (IPC) is the philanthropic arm of the Lehigh Valley IronPigs. IPC also assists local youth sports leagues with team-management tools, education programs and facility improvements. The organization has donated more than $1.5 million to youth-serving non-profit organizations throughout the Lehigh Valley region. IronPigs Charities is supported through the strong fanbase of the Lehigh Valley IronPigs via in-game fundraising activities such as the popular 50/50 raffle, used team equipment sales, and the team jersey auctions. Funds are also raised through contributions from companies, organizations and individuals, as well as from special event sponsorships and ticket sales for annual events including the Phillies Winter Caravan, Hackers & Homers golf tournament and the Meet the Team Dinner. 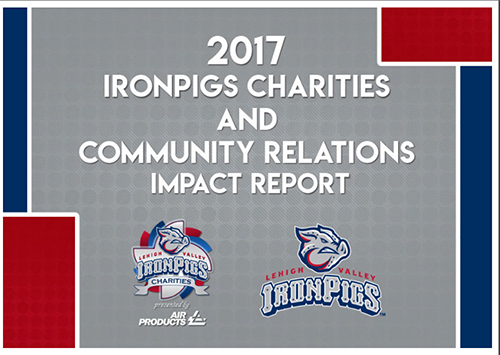 IronPigs Charities is governed a Board of Directors that meets four times annually (March, June, September, December).